The Upper Grand DSB has placed a renewed focus on environmental stewardship, which includes extending classroom learning into the outdoors. Educators are encouraged to incorporate inquiry-based learning into all subject areas and taking students outside into the natural environment is an excellent way to stimulate curiosity and increase creativity and problem solving skills. The research is clear on the benefits of outdoor learning and guided play. Children’s physical and mental health are both positively impacted by time spent outside. Students’ stress levels decrease, while focus and motivation for learning are improved. With this in mind, many schools are beginning the process of greening their school grounds, by creating naturalized play spaces or outdoor classrooms. We look forward to seeing the benefits that these initiatives will bring to our students’ overall success – both academically and socially. The Upper Grand District School Board’s Outdoor Education Centre, at Island Lake Conservation Area, is a partnership between the UGDSB and the Credit Valley Conservation (CVC). The UGDSB has an agreement with the CVC to use its facilities at Island Lake Conservation Area, which boarders the Town of Orangeville and Mono Township, for education programs. The centre is run by a teacher, an outdoor educational assistant and volunteers, through the UGDSB Student Support and Program Services Department. This program focuses for a half day on ‘Water.’ Students do scientific tests to determine water quality, as well as investigating aquatic life that live in our local waterways. This program is a good introduction, and directly linked to the science curriculum expectations for grade 8 on Water Systems. The other half of the day focuses on Character Development, Cooperation, and Problem Solving through games and activities. This is a chance for students to gain skills in the area of leadership and communication. 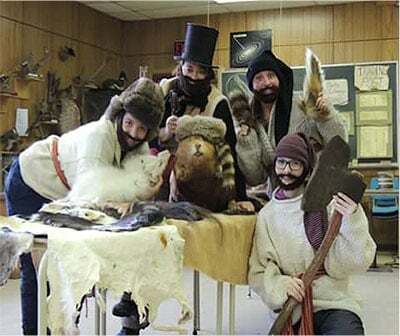 The Fur Trade Program is directly related to the Grade 6 Social Studies Curriculum, which focuses on New France. Students take on the role of Fur Traders and Coureur de Bois, in order to gain an understanding on how to survive winter in ‘the new world.’ They use map reading skills to ‘gather furs’ and purchase the supplies they require to survive. Examples of cooperation between the French fur traders and First Nations, and the conflict between the French and English fur traders is also investigated. Traditional songs and games from this period are also included. Grade Five Classes are invited to participate in the Earthkeepers program. 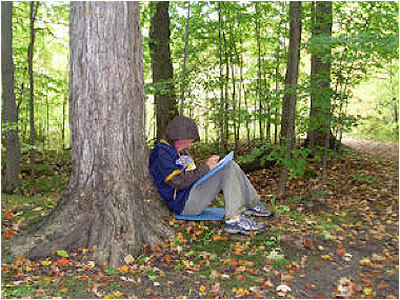 Earthkeepers is a program written by the Institute for Earth Education. Students visit the centre for three consecutive days to learn about Munch Lines, Specks, Connections, Time, and Experience the natural environment. In turn, they learn to care for the environment when they return home and to school, by earning all of their Keys. Earthkeepers is a part of the Grade 5 Conservation of Energy science curriculum and helps create discussion towards change in schools. The Habitats Program focuses on what animals need to survive; food, water, shelter, and space. 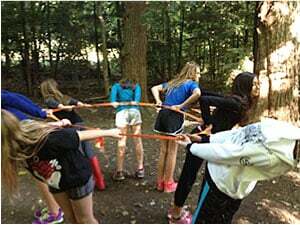 By playing several simulation games, students experience firsthand the difficulty of animal survival. Through discussions, and personal experience the different needs and adaptations of herbivores, omnivorous and carnivores are also discovered. 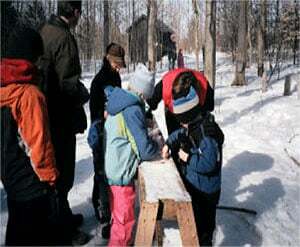 With spring comes the Maple Syrup Event at Island Lake Outdoor Education Centre. We are delighted to be able to invite grade one students to come and take part in the tradition of making maple syrup by sending a bucket, spile, and teacher packages to their school. The Maple Syrup Event covers many of the grade one science curriculum objectives including characteristics of living things, energy in our lives, and daily and seasonal cycles.